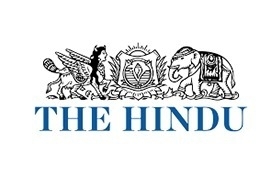 Jyothi Datta of the Hindu Business Line reports on the results of the 2018 Access to Medicine Index. The article focuses on the handful companies carrying out the majority of urgently needed R&D. The piece features a quote from Jayasree K. Iyer, Executive Director of the Access to Medicine Foundation, on how the current situation looks: "The key message from the report is that if just a handful of companies are carrying the bulk of the priority and R&D load, it shows how fragile the situation is."